Dancing Prairie has partnered with the University of Iowa to provide opportunities for our massage therapy students to study with human cadavers as part of their anatomy coursework. This is a cutting-edge opportunity, and a first in the region. You'll have opportunities to teach and study with medical students and other health professionals, forming bonds that will feed your life and your practice. You'll be part of bringing this new Massage Therapy Education Program into the world. Help determine the shape and nature of our program. To educate massage therapy students in a rich interprofessional learning environment that encourages critical thinking, clear communications, and excellent body mechanics, preparing them for the licensing exam and a successful rewarding practice. To augment health professional education (for MDs, PAs, Nurses, PTs...) using massage therapy and other complimentary/alternative bodies-of-knowledge. To practice and provide affordable evidence-informed harmless therapies that relieve pain and enhance health. To study and report the effects of these practices on learners and clients. To provide a beautiful healthy environment in which to learn. At Dancing Prairie, we are dedicated to helping our students enjoy the experiences and education they need to take their place in the health professional team. We know Massage Therapy enhances health in diverse ways in diverse venues from Salons, Spas and cruise ships to independent clinics and hospitals affiliated with colleges and universities, to private studios. We will prepare you to provide excellent massage services wherever you choose to practice. Interprofessional education (IPE) for health professionals facilitates collaboration and communication across boundaries often perceived by those professionals and their patients as barriers. Patients often keep their health care explorations to themselves for fear of offending, or facing negative judgment from, their care providers. Health professionals often experience a form of tunnel vision within their specialty. IPE helps us cooperate respectfully as we work with patients towards health and comfort. Interprofessional education (IPE) is leading the way that health professions students are learning together to work together in order to best meet the needs of patients in our evolving health care practice environments. Mission: To promote excellence in educational preparation and practice in prevention, wellness, and healthcare through team-based, interprofessional collaborative learning experiences. Vision: Interprofessional education at The University of Iowa will promote an institutional culture, learning environment, and infrastructure that produce graduates recognized for their ability to effectively engage as collaborative team members in healthcare settings. Dancing Prairie students have already experienced some of the benefits of this sort of education with collaborative anatomy classes for massage therapists and medical students. Massage Therapy and Medicine is a course Dr. Darren Hoffmann (an Anatomist at UI Carver College of Medicine) and I (Dede Dancing) developed and taught first as a research project in medical education. We found participating in the course enhanced the medical students' own wellness, increased their understanding of both anatomy and massage, and helped them feel more comfortable and confident as they perform physical exams. Massage therapy students assisted the medical students during the class and also reported excellent learning outcomes, including more comfort in conversations with physicians. We care about your health. Many Massage Therapists suffer with work-related injuries, and feel they must shift away from a full-time Massage Therapy career. Unfortunately, those who cannot maintain a comfortable career as a therapist will often teach massage. As Dancing Prairie students you will learn from teachers who have maintained long careers as therapists and have found ways to stay healthy as they practice. You will begin practicing those skills right away -- as you learn massage and therapeutic maneuvers. We have designed our curriculum using standards provided by the amazing collaborative work of the Coalition of National Massage Therapy Organizations The Core: Entry-Level Massage Education Blueprint, and we are more than grateful for their efforts to ensure that each massage therapy student has what they need to succeed when they graduate. We have partnered with the University of Iowa to provide very special opportunities to work with human cadavers as part of our students’ Anatomy coursework, and as Continuing Education for Licensed Massage therapists. These opportunities are exceptional in the field and in our area, and we are so grateful to be offering them. While we work toward a fully-accredited curriculum, it will take a couple of years to achieve the full accreditation that will allow our students to take advantage of federal loan and grant programs. We do offer an in-house interest-free loan program that you can learn about when you make your official visit to the school. Your transcript will be kept on file for your future needs. This special offer reflects an understanding that our new program benefits from your participation as students. Thank you for your confidence! Full tuition or a down-payment with a signed Tuition Loan Agreement is due prior to the beginning of classes. Scholarships may be available. Ask about these when you visit. If you withdraw before the program starts your entire investment except the non-refundable $50 application fee will be refunded. If you withdraw after classes start, Dancing Prairie will honor the laws in Iowa Code Section 714.23, subsection 2, regarding tuition refunds for early withdrawal from the program. Briefly, if you withdraw from the program before you were scheduled to have completed 60% of total program hours, your tuition—minus equipment, supplies, and application fee totaling $650—will be prorated accordingly and refunded. If you withdraw after you were scheduled to have completed 60% of the program you will not receive a refund, unless you are withdrawing due to physical incapacity or spousal employment relocation. If that is your situation, the law described in the next paragraph applies to you. There is an exceptional policy described in 714.23 subsection 3, paragraph a, for those who are withdrawing due to physical incapacity or spousal employment relocation—people in these situations will receive a prorated refund regardless of when they withdraw, even if they have proceeded in their education beyond 60% of the program hours. These comments are representative of the feedback I (Dede Dancing -- Owner, Founder, Teacher) receive about courses and materials I have provided in the past 6 years. I just had a moment to look at your CD and it is wonderful!! The students are really lucky to have you put forth all the effort to create that. I guarantee that they use it often, not in the next year but for the rest of their career! –Katie Swenson, LMT (previous Western Massage course instructor at East-West)"
"Dede has a great attitude and personality. Well spoken, easy to understand…Very helpful during hands-on session…Present and aware. Keep being awesome!" "Dede was very helpful with techniques when I had questions—she’s been great!" "I liked everything about this course! Dede is a wonderful instructor. I feel like I learned so much from her! Watching a technique and then doing it myself was perfect learning. Thank you times a million!" "Can’t wait till you teach us more!" "I love this course! The energy. The techniques. The fun. Thank you so much! Keep on dancing!" "Know that you have amazing gifts and are so good at sharing them with others :) Thank you for letting me be a part of that." "I loved Dede’s style of teaching. Her passion for massage is inspiring." "Dede—you are the best instructor I ever had. Thank you for everything." "This was a great course. I grew as a massage therapist and as a person." Bonnie Prudden Myotherapy Inc is approved by NCBTMB as a continuing education Approved Provider. Learn the original form of trigger point therapy pioneered by Bonnie Prudden. 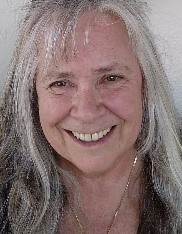 This 13 hour “hands-on” workshop helps the practitioner feel comfortable using the techniques of Bonnie Prudden Myotherapy® on clients and self. Learn how to simply and effectively reduce muscular pain and tension with a combination of pressure to trigger points, passive stretch, and corrective exercise. Coming This Summer- Opportunities to study and practice self-care with Dede and other local health and wellness educators. We are looking for excellent teachers who have been/are successful massage therapists. Please contact Dede Dancing at 319-351-9766 or Om@DancingPrairie.com to apply for these positions. 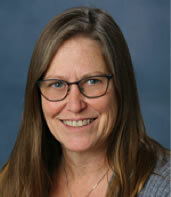 Dede teaches: Introduction to Massage Therapy, Western Massage Theory and Practice, Pain Relief, Thermal Stone massage, and provides support to instructors teaching in the other arenas of Dancing Prairie’s curriculum. While enjoying more than 15 years of successful private practice, I have focused on developing skills that help clients establish and maintain health and comfort. I am a passionate proponent of massage therapy as an important aspect of health care, embracing both the science and the wonder of this excellent profession. I have been honored to teach in a variety of environments including the trucking industry, human services, and most recently, five years with East-West school of Integrative Healing Arts. At Dancing Prairie, I collaborate with others to develop and deliver an enjoyable educational curriculum which prepares students well for the licensing exam and to have fun with a successful, rewarding career. 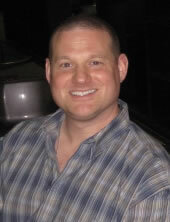 Gerald A. Anzalone, D.C., M.S. Dr. Gerald (Jerry) Anzalone received his Doctor of Chiropractic and his Master of Science in Human Anatomy and Physiology Instruction through New York Chiropractic College. He has a strong interest in evidence-informed practices and is dedicated to excellence in teaching. Jerry is a member of the Human Anatomy and Physiology Society and the American Association for the Advancement of Science. An avid dog-lover, he has three canine companions (Taylor, Tiffany, and Marty), each a rescue from the Dutch Carribean. In the course of practicing and teaching medicine, I’ve found that traditional Western medicine sometimes lacks the tools needed to relieve physical and mental pain, which is a profoundly important part of healing. Therapeutic massage techniques provide an effective counterbalance to mainstream medicine, especially when it comes to relieving pain, stress, and anxiety. My hope, in joining the Dancing Prairie Massage Therapy College teaching team, is to provide students with a solid foundation in basic medical physiology and pathology so that they can feel confident in choosing appropriate therapies for their clients. I will also help students learn to access, understand and apply research about massage therapy modalities and other approaches to pain relief and healing. 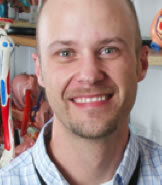 Dr. Darren Hoffmann received his PhD in Anatomy and Cell Biology from The University of Iowa in 2006. Since then he has been faculty at The University of Iowa Carver College of Medicine and College of Dentistry, teaching gross anatomy in multiple health professions programs. His educational research is focused on how students learn best outside of the classroom. He was part of the Iowa City team that developed Cyber-Anatomy, a 3D virtual cadaver program, now used by students at The University of Iowa and around the world. Four years ago, Darren and Dede started collaborating around their shared interest in anatomy, massage and self-care. Since then, they have taught multiple massage and anatomy courses together, working with students from Medical and Massage Therapy programs to create a novel learning community, and enhance the education of future doctors with advanced skills in palpation, massage for pain relief, and self-care. At Dancing Prairie, Darren will teach Gross Anatomy. He'll also collaborate in developing educational programs and educational outcomes research. He hopes to help bodyworkers and other medical health care providers find a common language in the complex relationships of the human bodys systems, and inform the work of all health care providers by providing experiences in touching with therapeutic intent and taking care of their own bodies. Lucy has studied and practiced Asian bodywork since 2003. She owns a successful Acupuncture practice—Deep Roots Acupuncture—and has taught Shiatsu for two years at East-West School of Integrative Healing Arts. 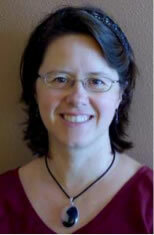 At Dancing Prairie she teaches Shiatsu with an introduction to Eastern Theory and Practice. Learning with Lucy will deepen students’ bodywork toolbox and broaden their experience with alternative health practices. Ralph has been practicing massage therapy to successfully treat the injuries and pain complaints of his clients for the last 32 years. While his particular focus is on athletes with clients ranging from Olympians and Paralympians to passionate amateurs, he also works with other populations from couch potatoes, pre-natal, chronic pain, and fibromyalgia to MS, post-surgery, and brain/cord injuries. 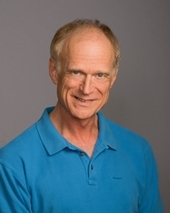 As a Massage Therapy Hall of Fame inductee, textbook author, regular Massage Today columnist, AMTA National Meritorious Award winner and 2017 CE Provider Teacher of the Year, Ralph stands out as one of the few Master Instructors in the field of massage and soft tissue therapy. Ralph’s focus is on ensuring that students learn what it is they need to become more effective, successful massage therapists. 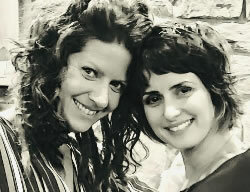 Dusti and Jenna met in 2011 while attending school for Massage Therapy and Energy Healing. The two quickly formed a deep bond that would continue to grow over the course of their education. Each completed a 1,000+ hour program through East-West School of Integrative Healing Arts. Upon graduation and state licensing in 2012, Dusti and Jenna founded Soul Centric, where they provide Massage Therapy, Energy Healing & Yoga. They are passionate about hands on body and energy work, empowering others to take an active role in their wellness, being truly present during the healing journey (body, mind & spirit) and building community. Dusti and Jenna are honored to have the opportunity to be a part of the Dancing Prairie tribe and look forward to co-teaching Professional Ethics and Career Development! 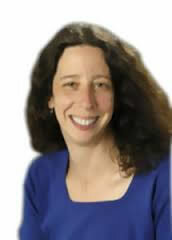 Dr. Rosenbaum introduced Dede and Darren to one another in 2011, and originally inspired their development of the Massage and Medicine course. Her roles in Dancing Prairie will include teaching Professional Communications Workshops, and collaborating/consulting in the evaluation of our educational programs. 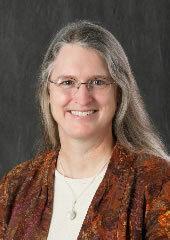 At Dancing Prairie, Lauren will provide medical consultation and oversight in addition to teaching a course in Pathology. Kristen has worked in mental health since 1995. 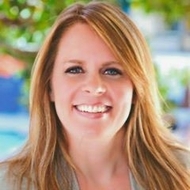 After becoming a Psychiatric Mental Health Nurse Practitioner in 2001, from the University of Iowa, she followed her dream and created a Holistic Mental Health Care private practice in 2005. Kristen believes we are to heal the emotional pain we experience, not just cope with it or medicate it. Emotional pain that isn’t transmuted or processed doesn’t just go away, it accumulates and lives inside us until we begin a healing journey. Licensed Massage Therapist, Certified Yoga Teacher, Reiki Master/Teacher. Deep Tissue Swedish Massage, Neuromuscular Therapy, Heated Stone Massage, Shiatsu Bodywork Therapy, Thai Massage, Dian Xue Tui Na Qigong Massage, Chi Nei Tsang Internal Organ Detoxification Abdominal Massage, Craniosacral Therapy, Reiki Healing and Instruction, External Qi Healing, Sound Healing, Yoga & Qigong Instruction, and Hypnotherapy. Joseph began his journey into the healing arts as a youth, through the practices of Meditation, Reflexology, Creative Visualization, Yoga, Lucid Dreamwork, and studies in Hypnosis and Neurolinguistic Programming. Further studies in Herbalism and Therapeutic Movement at Goddard College cemented Joseph's commitment to the healer's path. When the opportunity to study at the Eastwind School of Holistic Healing presented itself in the year 2000, Joseph delved deeply into the study of Massage Therapy, Shiatsu Bodywork Therapy, Traditional Chinese Medicine, and Energy Healing. A firm believer in lifelong learning and self-directed education, Joseph continues to study and deepen his practice through workshops, continuing education, and independent study. Beginning in 2006, Joseph taught Traditional Chinese Medical theory and Shiatsu Bodywork Therapy at the Eastwind School of Holistic Healing. He became the lead instructor for the school, and taught much of the curriculum there. 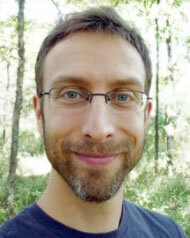 Joseph continues to provide instruction in Thai Massage, Shiatsu Bodywork Therapy, and Sound Healing presently, as well as offering continuing education workshops in a variety of subjects. Joseph began his healing practice in 2002, and moved his practice to the Eastwind Healing Center in downtown Iowa City in 2006, where he continues to see clients presently. In 2017 Joseph completed a professional training course in Hypnosis and Hypnotherapy with Dr. Candida Maurer, and has been practicing Hypnotherapy professionally since. Hypnosis has been a lifelong subject of interest and study for him, and is proving to be a wonderful addition to his therapeutic approach. "I love my work, and I am committed and passionate about health and healing, feeling good in the body, and living life to the utmost. It's my belief that everyone can benefit from Massage and Bodywork Therapy, Energy Healing, and Hypnotherapy, and it is my mission to bring ease and healing to as many people as I can in this life."